This week Chris Stafford catches up with the top dressage rider in the world, Isabell Werth. This interview is courtesy of WiSP Sports and may not be reproduced in any form without permission. The original broadcast can be found at wispsports.com. In our education segment, we have the final part of the four part series Helping Your Horse Perform its Best recorded at the 2016 Adequan®/USDF Annual Convention. In this segment, certified practitioner of the Masterson Method of Performance Equine Body Work, Coralie Hughes, talks about how and why horses get sore. Isabell Werth, Rheinberg, GER, is the most decorated rider in Olympic history with 10 Olympic medals, 7 World Championships, 13 European Championships, and 14 German Championships. Isabell captivated the crowd at the FEI World Cup™ Finals Omaha 2017, winning the FEI Grand Prix competition at the CenturyLink Center on Thursday. Riding her Olympic mount Weihegold, Werth rode to an impressive score of 82.300%, the only entry to score above 80%. Coralie Hughes, Coatesville, IN, is a Certified Practitioner of the Masterson Method of Performance Equine Bodywork. In addition to earning her USDF Bronze Medal, Coralie, is a German to English translator and co-author of the Dressage Movements Revealed DVD set and The Dressage Horse Optimized. This week we catch up with US Dressage Technical Advisor/Chef d'Equipe Robert Dover and four-time Olympic rider Steffen Peters as they talk about their Team Bronze medal and experiences at the 2016 Olympics in Rio. Steffen Peters, San Diego, CA, was born in Wesel, Germany. In 1984 Peters met American trainer Laurie Falvo who invited him to work at her barn in San Diego. Since that time, he has represented the U.S. at numerous championships and earned many national titles. Peters won his first Olympic medal, a Team Bronze, at the 1996 Atlanta Olympic Games aboard Udon. He and Floriano were the alternates on the 2004 Athens Olympic team. In 2006, Peters and Floriano were the anchor on the Bronze medal-winning team at the 2006 FEI World Equestrian Games. Steffen has also been a featured presenter at the USDF FEI-Level Trainers Conference. RobertDover, Wellington, FL, competed in his first Olympics in 1984. He competed in every summer Games between 1984 and 2004, winning four Team Bronze medals. He also took a team bronze at the 1994 World Equestrian Games. Dover is the most honored dressage rider in the United States, and has been inducted to the United States Dressage Federation Hall of Fame. In April 2013, Dover was named Technical Advisor/Chef d'Equipe for the US national dressage team. 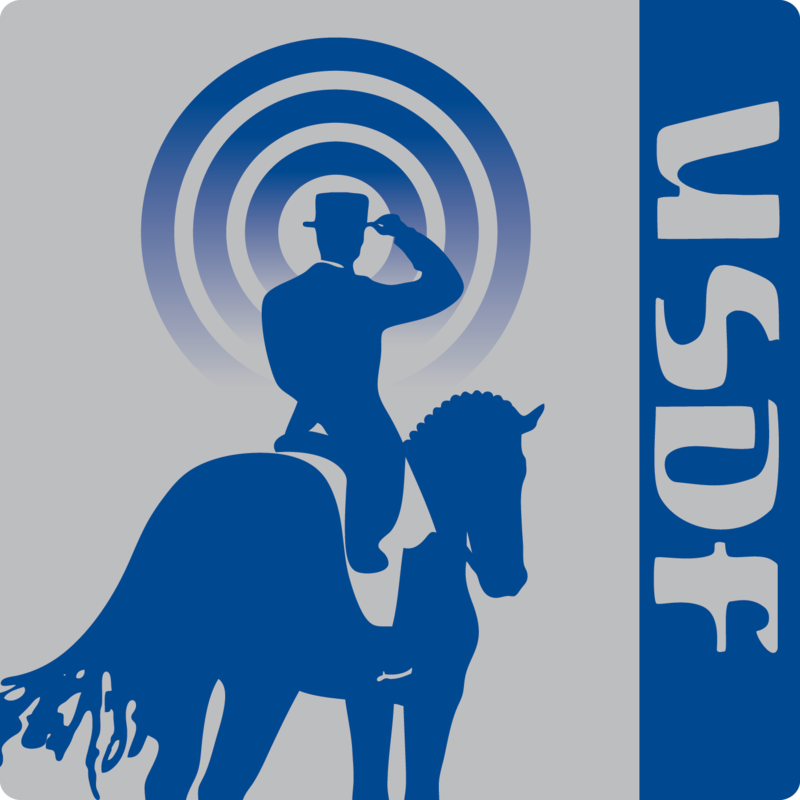 Dover founded the Equestrian Aid Foundation in 1996 to assist others in the equestrian world. This week we are joined by Allison Brock who talks about her road to becoming a member of the 2016 U.S.Olympic Dressage Team along with her mount Rosevelt, a 2002 Hanoverian stallion owned by Claudine and Fritz Kundrun. Allison Brock, Loxahatchee, FL, is the Head trainer at Claudine and Fritz Kundrun's Deer Meadow Farm (Wellington FL). Leading up to her selection for the 2016 Olympic Dressage Team, Allison placed third in the CDI3* Grand Prix and Grand Prix Special at CHIO Rotterdam and won Team Gold in the CDIO5* Nations Cup at CDIO5* Compiègne. Allison is a USDF Gold, Silver, and Bronze Medalist. 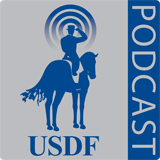 USDF Episode 96: Remembering Colonel Hiram Tuttle/ The Walk. Sue Malone Casey is a USEF Senior Dressage Judge and USDF Bronze, Silver and Gold Medalist.